Commercial, industrial and residential fencing with aesthetic appeal that lasts ─ that’s what WT−ColorCoat by Wheatland Tube provides. 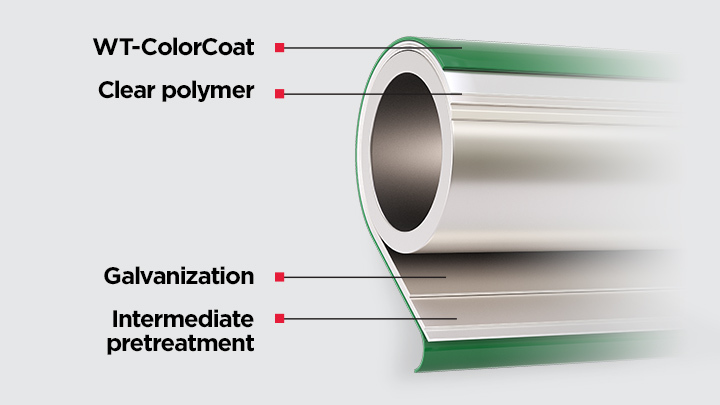 Made in the USA, it wraps the strength of steel in four layers of long-lasting corrosion protection, including durable color. Wheatland’s 3 mil polyester TGIC powder WT−ColorCoat in dark green, black and brown does more than blend with surroundings. It’s one of four exterior layers that wrap around our strong, galvanized steel fence frameworks to guard them from corrosion and the elements. Look to Wheatland for a full line of American-made fence framework products, readily available nationwide for any application. We MAKE IT eZ. All of our round galvanized fence framework products are also available with dark green, black or brown WT-ColorCoat as a fourth layer of protection against corrosion and white rust that also complements the surrounding environment. 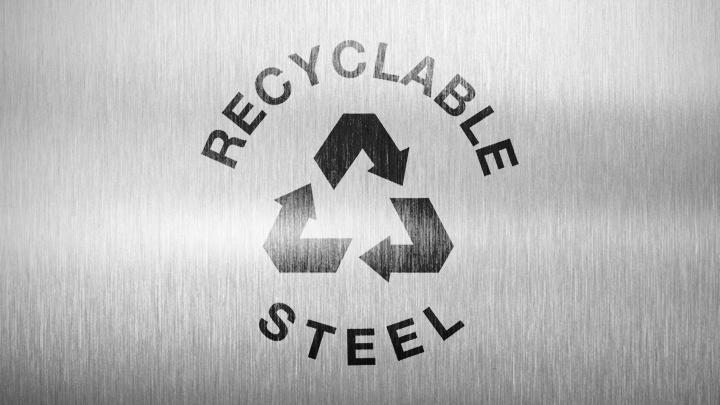 The steel used to produce Wheatland’s fence framework contains recycled steel, which is the most recycled material in the world. The tube products manufactured by Wheatland Tube are produced from 25% to 85% recycled steel, depending on the steel producer — which can help building owners and developers obtain LEED certification. Get complete details about all of our fence framework products. See all of our fence framework resources.